Killing The Breeze is on the paper chase analyzing the business of the NBA including where it goes from here as well as housing and the Fed. The NBA proves that you can be unimaginative in growing your business. They copied what everyone was doing and improved upon what people did to better adapt to their model. There are signs of slowing growth for the economy. 4th quarter estimates were revised down from 3.2% to 2.4% which was more in line with analysts’ original estimates. Numbers for exports and the housing market came in weaker than expected. GDP is the broadest measure of the size and strength of America’s economy. Janet Yellen stated the economy has softened though the effects of the weather muddles the picture some. The Fed will continue to slowdown their bond buying program. Tesla is making plans to meet demand. The electric car company says four sun belt states are in contention for a billion dollar plant to build the battery for their car. Creating 6500 jobs, the finalists are Nevada, Arizona, New Mexico and Texas. While the 4th quarter ended up being a backwards looking number, it is the baseline expectation for the 1st quarter. The economy is slow and at this point it can be said for reasons other than the weather. There will always be pulls and tugs during a slow growth market. It is reasonable to expect an entire year of slow, choppy growth. Many people were very surprised at the preliminary release of the fourth quarter numbers so the revision is not unexpected. The economy has been growing modestly for quite some time. Janet Yellen, as Ben Bernanke did before her, continues to use communication as one of the the Fed’s tools. This has been important in making changes in policy including, quantitative easing, tapering, and likely changes in interest rate policy more palatable. I believe the Fed’s slowdown has been at the right speed. Quantitative easing had a role in 2012 and 2013, but the economy has to get back to normal. Look for rates to rise in early 2015. 2014 was supposed to be breakout year as many predicted for rates to rise at some point this year, but growth is not accelerating to that level. Growth for the second half of 2014 should be around 2.5%. The Fed is focused on its two mandates. The first is price stability or inflation which is under control. This allows them to focus on the second being the labor market. While we are closing in on 6.5% unemployment, weaknesses such as labor force participation are persistent. The bull market may be on the tired side. At the beginning of 2013, we had a fourteen times earnings market. While nothing is given, it was pretty straight forward in getting to 1800 for the S&P. This year’s market is at sixteen times earnings. Things aren’t as cheap as they were. There will be more volatility as we will still moving higher, but with a lot more activity. Warm weather will speed up growth a little, but we are in a slow growth market. There is no pinned up demand and wait for warm weather to unleash sales is an illusion. While it’s tough, I’m currently looking for income. It’s important not to reach too much for yield by lowering standards on credit or going too far out on the yield curve (longer duration or longer maturity fixed income investments). The risk is not compensated by the incremental increase in yield. I like high quality, shorter term fixed income that is essentially a cash equivalent. The option value of the liquidity has an appeal if we are to be in a volatile market. People can take advantage of the volatility rather than suffer from it. The housing market, on a month to month basis, went straight up the first half of 2013. In the second half, it flattened and drifted south. Housing starts and existing housing numbers are soft, but new home sales are up. Prices are up thirteen percent. Mortgage rates are up one percent. There will be continued growth but at at a slower pace. Data is seasonally adjusted so the weather is an impact, but again this is not all weather related. We have been in this pattern since August or Septenber 2013. This is still a good time to buy. Mortgage rates are low but are expected to rise to five percent by the end of the year, Affordability is high. There is inventory on the market because of new home construction providing a lot more selection for buyers. There will be fewer investors because they have retrenched. Buyers have more wiggle room in terms of price and may not have to be as aggressive with that initial first offer. The best cities to buy a house with best being defined by lower than average unemployment, population growth greater than two percent over the past 2 years, home value growth 2% over the next 12 months are Austin, Seattle, Boston, Portland, Jacksonville and Miami. Add North Dakota to the list in my opinion as it has the lowest unemployment in the country and the most oil drilling. Buyers are in the driver’s seat as sellers have challenges this year because of more competition. The housing market recooped 1.9 trillion in home sales in 2013. Rising prices have added optimism which will keep the housing market rolling. It’s funny how everyone feels good when prices go up in housing, which intuitively makes no sense as there are both buyers and sellers. Before David Stern, the NBA’s annual revenues were 78 million dollars, there were 23 teams, and games were televised in less than 10 countries. When David Stern retired as the NBA’s commissioner, annual revenues were 5,5 billion dollars, there were thirty teams, and games were televised in 215 countries. Growth can continue for the NBA. The NBA learned from every other corporation that was doing business. They then adopted a best practices, which at the time in the early 80’s, meant accomodating for markets outside of the United States. When television grew outside of the united states, demand for u.s. products grew outside of the United States. The growth will come from the delta between where the NBA is in the market and the potential of the market. 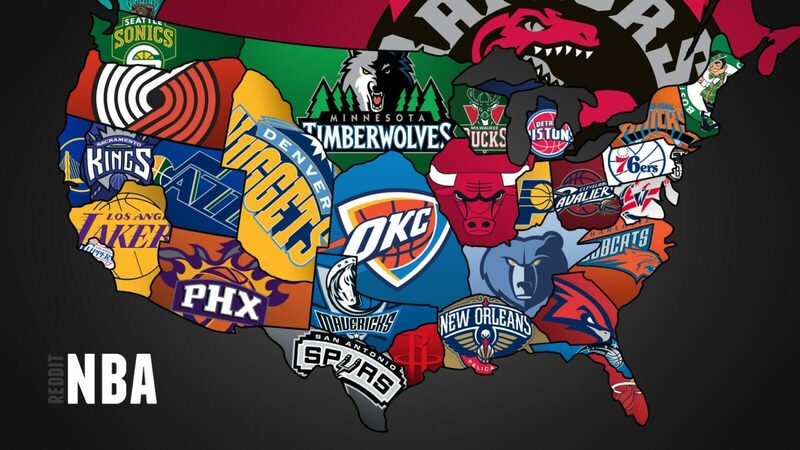 80-90 percent of the NBA market is still domestic. They expect major growth in China, and their is still enormous growth left in all sectors in which they operate. The NBA now has three big broadcasters in ABC, ESPN and TNT. They also have enormous rights deals at the local level which the NFL does not have. Negotiating the expiring renewal of the NBA television deal will be huge as they are the last major sport whose television rights are up for grabs. Unlike other businesses at the time, the NBA owns no manufacturing facilities. They felt that licensing was a better idea for their own branded products in terms of quality control. The growth of retail sales rose from 40 million to 2,2 billion under Stern’s tenure. Cash gifts hit an all time high reaching $3.50 per tooth. That is a 44% rise from the $2.42 of 2013. The tooth fairy actually outperformed the S&P 500. Disclaimer: Killing The Breeze is not a registered investment advisor or advisory service. It does not tell or suggest which securities or currencies should be bought or sold. The employees or affiliates of Killing The Breeze may hold positions in the stocks, currencies or industries discussed here. There is a very high degree of risk involved in the market. Killing The Breeze assumes no responsibility or liability for any trading or investment results. All content posted is for educational purposes only and independent advice should be sought from a professional to confirm validity and accuracy of any claim made. The information should only be a starting point for doing additional independent research in order to allow you to form your own opinion regarding trading decisions. You should ask the firm with which you deal about the terms and conditions of the specific securities which you are trading and associated obligations. You should always check with your licensed financial advisor and tax advisor to determine the suitability of any investment. The Breeze: Who Is Odetta Hartman? The largest image of the NASA Space Telescope has been released. Just beneath, are a whole lot of absolutely not related net internet sites to ours, however, they could be definitely really really worth heading in excess of. Hey! I know this is somewhat off topic but I was pondering if you realized the place I could get a captcha plugin for my comment type? I’m employing the very same blog system as yours and I’m possessing difficulties obtaining a single? Thanks a lot! Thank you for some other fantastic post. In which else may possibly just anybody get that variety of data in this sort of an excellent indicates of composing? I’ve a presentation subsequent week, and I am on the look for for such information. Great way of outlining, and fastidious article to get data regarding my presentation subject matter make a difference, which i am heading to express in school. Great way of outlining, and fastidious report to get information about my presentation subject issue, which i am heading to express in university. The knowledge talked about inside of the report are some of the most effective obtainable. With regard to ergonomics and the advanced technilogy Heuer reproduction watches have been the wonderful samples of sporting activities watches. What’s up it’s me, I am also checking out this website on a typical foundation, this site is truly nice and the viewers are truly sharing excellent ideas. Quite! This has been a genuinely wonderful post. Many thanks for offering this data. Get an instant offer for your home! Hello there colleagues, how is all, and what you desire for to say about this put up, in my view its really incredible designed for me. Just beneath, are a great deal of absolutely not relevant net internet sites to ours, nonetheless, they might be definitely truly value likely above. With respect to ergonomics and the innovative technilogy Heuer reproduction watches have been the great samples of sports watches. Very good way of outlining, and fastidious post to get info relating to my presentation matter issue, which i am heading to convey in school. A single was created only for demonstrating seconds and tiny while a diverse a single utilizing minute graduations is made for implying hours. When I initially commented I clicked the “Notify me when new comments are added” checkbox and now each and every time a comment is extra I get three e-mail with the same remark. Is there any way you can get rid of me from that support? Thank you! When I at first commented I clicked the “Notify me when new remarks are added” checkbox and now every time a remark is extra I get a few email messages with the exact same comment. Is there any way you can remove me from that support? Thank you! Many thanks for one more insightful net internet site. The area else could I get that variety of details composed in such an ideal strategy?I have a venture that I’m just now operating on, and I have been at the appear outfor these kinds of info.